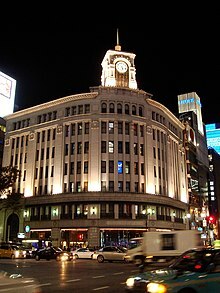 This article is about leading shopping streets. 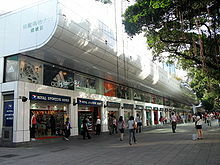 For shopping malls, see Lists of shopping malls. 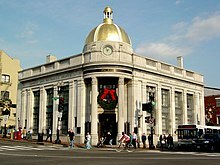 This page lists shopping streets and districts by city. 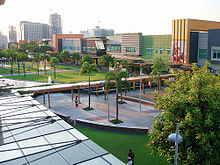 Typically these are open-air street-side upscale shopping districts that are destination locations in cities. 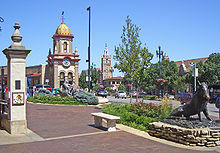 They may be located along a designated street, or clustered in mixed-use commercial area within the city. 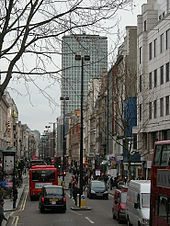 In the large cities, there may be multiple shopping streets or districts, often with distinct characteristics. Bern: The Old City, in particular the Marktgasse, Spitalgasse and Kramgasse. Rodeo Drive in Beverly Hills. Fashion Island in Newport Beach. Santana Row in San Jose, California. São Paulo: Avenida Paulista, Rua Oscar Freire, Rua Bela Cintra, Rua Haddock Lobo Rua João Cachoeira and Rua Voluntários da Pátria. Bogotá: 93 Park, 7th Av, 15th Av, 116th Av, 119th Av, 122nd Av, 11th Av, Zona T, Zona Rosa. Cartagena de Indias: Downtown, San Martín Ave.
Pereira: Circunvalar Ave, 6th Ave.
Manizales: 22nd Ave, 23rd Ave.
Armenia, Quindio: Bolivar Ave, Zona Norte. 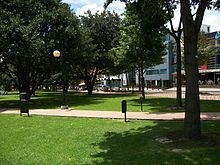 San Andres Island: Colombia Ave, Colón Ave.
Asunción: Calle Palma, Villa Morra (Senador Long, Lillo, and Malutín streets), Manora (Shopping del Sol mall and surroundings), Recoleta (Shopping Mariscal Lopez mall and surroundings), Av. 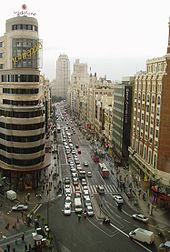 España. Arequipa: Avenida del Ejército in Cayma District. Cusco: Avenida El Sol in Cusco District and Avenida La Cultura in Wanchaq District. Lima: Jirón de la Unión in Lima District, Avenida Larco and Larcomar in Miraflores District, Jirón Agustín Gamarra in La Victoria District, Jockey Plaza in Santiago de Surco District, Avenida Conquistadores and Avenida Petit Thouars in San Isidro District. Trujillo: Jirón Francisco Pizarro in Trujillo District. 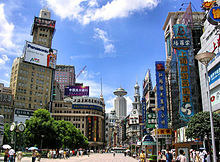 ^ "...Wangfujing, one of Beijing's most famous shopping streets..." China.org.cn. 1 September 2010. Retrieved 21 September 2010. 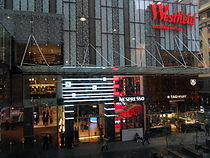 ^ "The World's Most Expensive Shopping Districts". CNBC. 21 November 2007. Archived from the original on 15 October 2012. Retrieved 15 August 2012. 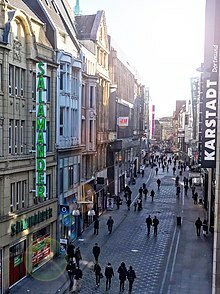 ^ a b c d e f g h i j k "London street has 'top shop rent' in Europe". BBC News. 21 September 2010. ^ "Verdun". Ikamalebanon.com. Archived from the original on 8 June 2012. Retrieved 15 August 2012. ^ Collin Anderson (2012). Evolution of a Retail Streetscape: DP Architects on Orchard Road. Images Publishing. ISBN 978-1-86470-462-4. 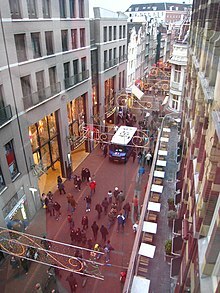 ^ "Basel Shopping: Basel-Stadt, Switzerland". Basel.world-guides.com. Retrieved 2012-08-15. 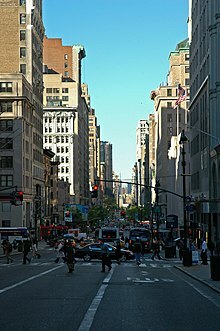 ^ a b c d e f g "America's Most Expensive Shopping Streets - BusinessWeek". Images.businessweek.com. Retrieved 2012-08-15. ^ "SoHot Style in South Tampa". The Washington Post. 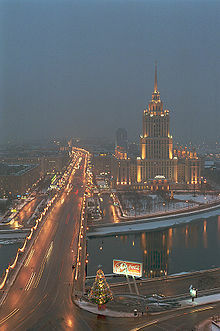 22 January 2006. 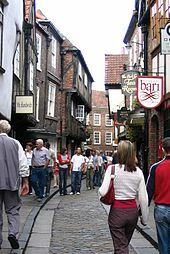 ^ "Most expensive shopping streets". City Mayors. 2005-10-30. Retrieved 2012-08-15. ^ Cantor, George (2005). Detroit: An Insiders Guide to Michigan. University of Michigan Press. ISBN 0-472-03092-2. 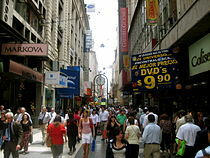 ^ "Shopping in Alonso de Cordova in Santiago - Top Rated Chile Market". 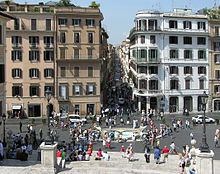 Vivatravelguides.com. 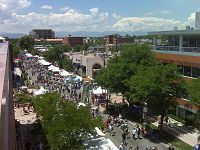 2009-08-25. Retrieved 2012-08-15. 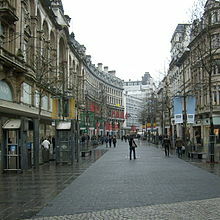 Wikimedia Commons has media related to Shopping districts and Shopping streets.